Having high cholesterol also means a high risk of heart disease. Cholesterol disease cannot be considered trivial. If left unchecked, will cause adverse effects to your health. Apply how to quickly lower cholesterol below, so that your body health is maintained. Cholesterol is a solid fat substance and is found in every cell of the body. Some of its functions, which helps the body to produce hormones, vitamin D, and assist in the production of bile in the liver. Cholesterol can be found in foods. However, you can only find it in animal products, such as meat and milk. Cholesterol is not present in plant-based products, such as vegetables and fruits. Cholesterol has an important role in the body. However, if high cholesterol levels in the blood, can invite various diseases. Fat is needed by the body. However, foods high in fat can increase blood cholesterol levels. Therefore, to lower cholesterol, you should limit your intake of foods high in fat content, such as butter, sausage, pizza, and sweet foods such as various sponges and cakes, biscuits, and chocolate. In addition to limiting fat intake, there are also cholesterol-lowering foods that you should consume, including whole grains, olive-based foods, nuts, various types of fish (tuna, salmon, and mackerel) fruits. 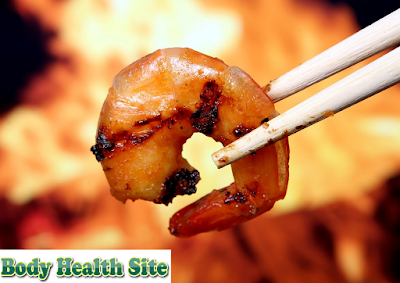 This type of food is believed to be good for lowering your cholesterol. Smoking can lower levels of good cholesterol (HDL) in your blood and is a major risk factor for heart disease. In addition, smoking can also create problems in blood vessel walls. If you have high cholesterol levels, you are strongly advised to quit smoking. Sport is believed to increase good cholesterol (HDL). Exercise has benefits for heart health and blood vessels, as well as to lose weight. It's best to do 30 minutes of exercise regularly every day. You can do brisk walking, cycling, dancing, gardening, swimming, jogging, and aerobic gymnastics. This is one of the quickest ways of lowering cholesterol that you can do. Supplements containing fish oil and soluble fiber, can improve your cholesterol levels and improve heart health. But this supplementation is just as an adjunct. Applying a healthy diet and exercise remain more effective and safe in lowering cholesterol. Cholesterol has an important function in the body but can cause blockage of blood vessels and heart disease when uncontrolled in number. If you have high cholesterol levels, then living a healthy lifestyle is the ultimate treatment. After knowing and understanding how to quickly lower cholesterol, you are still advised to consult your doctor to check your cholesterol levels regularly. 0 Response to "How to Lower Cholesterol Fast"